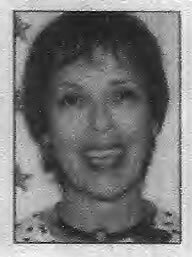 Karen Suzanne Hardman, age 63, of Pendleton, formerly of Molalla, died on Sept. 30, 2007, after a long battle with cancer. She was born on Oct. 19. 1943, in Portland to Elton and Evlyn Everhart of Molalla. She attended school in Molalla and graduated from Molalla High School in 1961. She received a Bachelor of Science in sociology in 1966 from Lewis and Clark College in Portland. She then began her career at the State of Oregon Children's Services Division where she was an administrator until her retirement in 2000. A former resident of Burns, she was a member of the Umatilla County Historical Society. She was a volunteer for the American Cancer Society and a volunteer long-term care ombudsman for the state of Oregon. Her interests included traveling the world, reading, gardening and spending time with her grandchildren. She is survived by her husband, Larry; three stepchildren, Sheri Lynn Miller of Pendleton; Jill Rich of Prineville and Lisa Dunnavant of Battleground, Wash.; brother. Jon Michael Everhart of Clarno; and five grandchildren. A memorial service will be held at 1 p.m. Tuesday. Oct. 16, at Molalla United Methodist Church followed by a gathering at Arrowhead Golf Club. A private burial will be at Adams Cemetery• in Molalla. Memorial contributions may be made to St. Mary Regional Cancer Center, P.O. Box 1477, Walla Walla, WA 99362.